Posted on May 30, 2012 by veearr | Comments Off on 3d photo! Developed over the period of two years, New Civilizations is a body of elaborate collages created with collected imagery from old magazines and books. The works depict improbable landscapes that integrate modern and ancient architecture. They depict figures engaged in ambiguous activities of construction and destruction suggesting a state of flux. They use a dark sense of humour to explore patterns of futility in human activity while negotiating feelings of optimism and hopelessness. 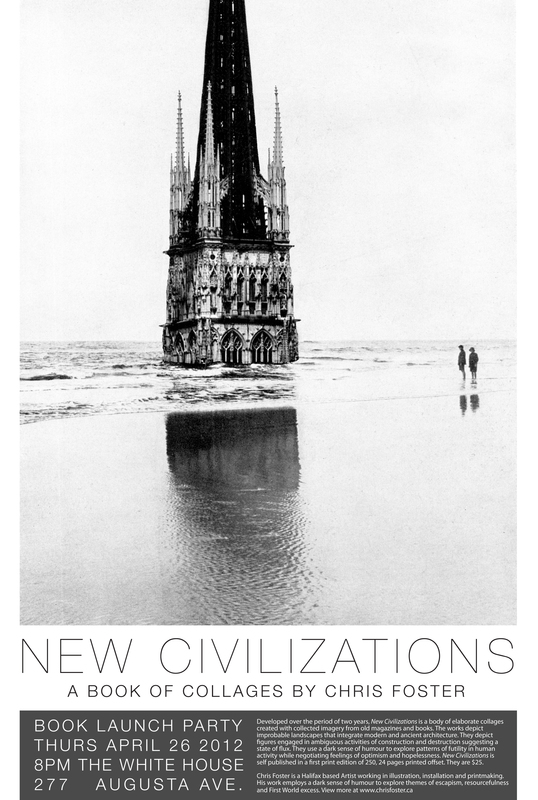 New Civilizations is self published in a first print edition of 250, 24 pages printed offset. They are $25. 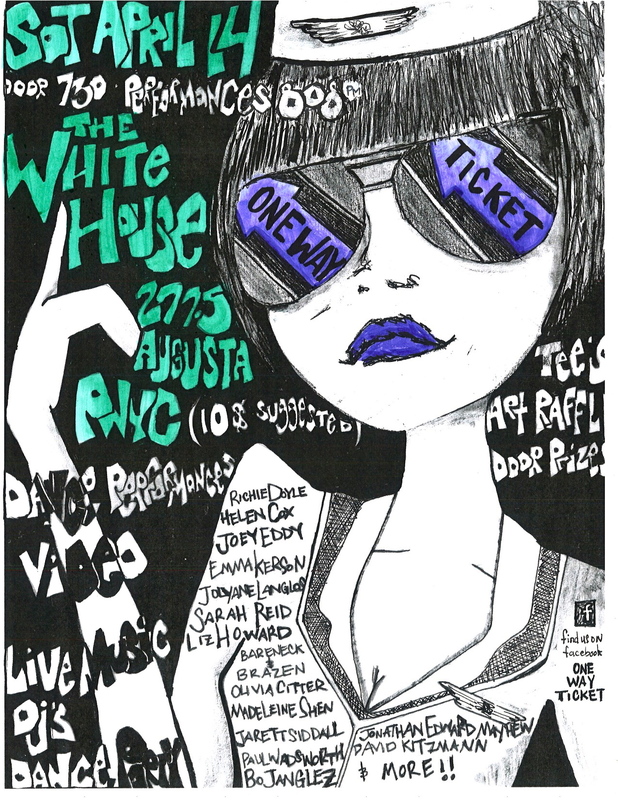 at The White House, 277.5 Augusta Ave.
Chris Foster is a Halifax based Artist working in illustration, installation and printmaking. 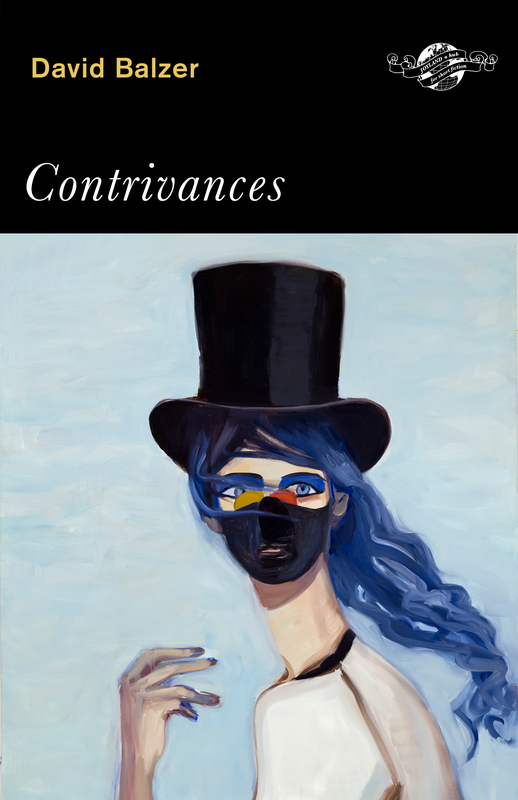 His work employs a dark sense of humour to explore themes of escapism, resourcefulness and First World excess. **DISCLAIMER: No interns were harmed in the making of this sitcom. Richie Doyle is an emerging dance artist currently based in Toronto. In May, Richie will be traveling to Brussels, Belgium as an opportunity to further his artistic and professional growth, as well as establish himself as a member of the dance community abroad. Doyle’s pilot performance project: One Way Ticket, will also be a fundraiser to help finance his educational endeavors. The event will be a showcase of Toronto-based dance artists, as well as collaborations with visual and spoken-word artists. featuring Richie Doyle & Jarrett Siddall. 10$ donation gets you raffle tickets for prizes! Posted on April 8, 2012 by veearr | Comments Off on Who’s That?! Studio Member Sarah D’angelo has started a photo project on our website called: Who’s That?! She will be continuously photo documenting White House Studio Members and their ever changing studio spaces. Click Here for More WHO’S THAT?! Comments Off on Who’s That?! Posted on March 27, 2012 by veearr | Comments Off on This Saturday, March 31st! a show of band t-shirts for bands that don’t exist! The t-shirts that you weren’t allowed to see. 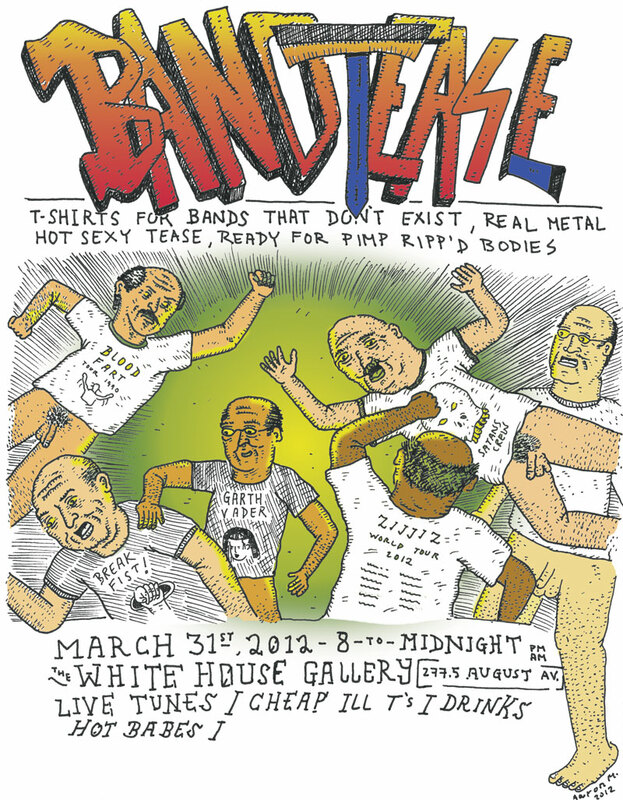 Banned t-shirts for metal bands that don’t exist, or that never made it, coating the walls of the White House Gallery. Once we remove the referenced sound and subject we are left with the objective tee cloth; a disassociated idea of pure market fantasy and functional warmth. Comments Off on This Saturday, March 31st!